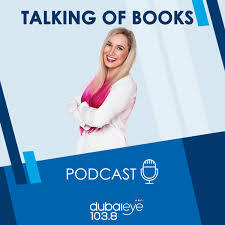 Yesterday, I had the great opportunity to discuss children’s books on the Dubai Eye Radio Channel in the UAE. Annabelle and Evelyn, the co-hosts, and I talked about what makes a good children’s book, whether parents would agree, what are picture books, and what were my personal favorites growing up? One book that I love until today is But No Elephants by Jerry Smath. There are good children’s books. I’ve read many that are ‘good’ because they psychologically hit the child’s level, the illustrations are exciting, full of movement, creativity, and variety. the text flows and is perfect when read aloud, making the book useful for a parent/teacher – child reading session. The story itself is well – written, conscious from start to finish, either coming full circle or leaving the story open for the reader’s interpretation at the end. But an outstanding book primarily contains and addresses feeling. Reading above all else, gave me the feeling of security and adventure, comfort and excitement. So until now, I am always happy to go back to reading. Do grown-ups have different opinions? I’m very regretful to say this, but most adult’s simply don’t know how to select books for their children. That’s why awards can be so useful. If there’s a gold sticker on the book – it immediately stands out. Many adults, traditionally and until now, search for books that are overly didactic – that TEACH a lesson. And now, that simply isn’t considered good writing. What were some of your favourite books growing up and do you remember why? I grew up in the States before moving to Egypt. There, my school introduced many books to me: The Bridge to Terabithia – Katherine Paterson, A Wrinkle in Time, The Giver. Younger, my parents brought me Dr. Seus, The Rainbow Fish, and I especially liked But No Elephants by Jerry Smath. Previous Launching Arabic Book A Month! Dina is currently writing her next novel in the Melouq series. She is also completing the illustration and publishing of her next bedtime story. Free book offers and discounts for exclusive subscribers only. Free book offers and discounts for exclusive subscribers only. Enter your email below. Unsubscribe anytime.